Apart from the considerable pressure built up over the previous 20 years two other factors may have played a part in the convening of this meeting: the presence of Major Downing, a force at Kenilworth Cricket Club though a resident of Leamington, and the apparent collapse of the Milverton Cricket Club, where notables such as Alfred Lyttelton played. 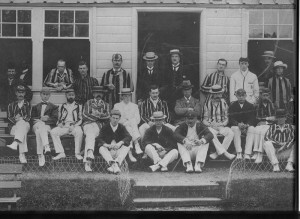 Many Milverton members, officials and players subsequently joined the newly-formed Leamington Club. Until 1899 matches were played on a field in Newbold Terrace East, rented from brewers H E Thornley. and shared with the Alliance and Early Closers’ Cricket Clubs. It was almost certainly Alderman ‘Sammy’ Holt who was the driving force behind transferring play from Newbold Terrace East to Arlington Avenue, when he arranged for the lease of the field from the Trustees of the Waller Estate. Under the supervision of G Hearne of the famed Kent cricketing family, the field was first levelled in the winter and spring of 1899 to 1900, again in 1901 at a cost of £17 and in 1903 at a cost of £35. Binns Brook, which originally crossed the ground, was diverted, to run along the boundary with Cloister Crofts. The first season’s play on the present site was in 1900, and it would appear that this caused a certain amount of resentment. Mr W Perkins, a well-known town liveryman and nursery owner felt he had been dispossessed of this field, and took action: he and his servants broke down gates and took manure carts over the newly laid turf, resulting in an action for trespass and damage. The original pavilion costing £35 was acquired from Milverton C.C. but the newly-formed Leamington Club soon decided spend £192.5s.6d on a bigger pavilion, built by Thomas Pratt to the design of FG Cundall, a well-known Leamington architect. Funding for much of this early work came from a public appeal for donations. There are stories of Alderman Holt and his close companions making door-to-door visits, arguing the benefits of the establishment of an exclusive cricket club. Nearly 200 subscribers quickly raised £600. (Around £40,000 today) Local resident and brewer M P Lucas, donated the clock standing on top of the pavilion. By 1904 funds were sufficient to employ Arthur Taylor as groundsman. A formidable local cricketer in his own right, he stayed until 1912 when he took the post of groundsman at Edgbaston. M P Lucas, sometime Sussex player, had represented Leamington in negotiations on the formation of a county cricket club and where it should be sited, and during Taylor’s tenure at Arlington Avenue the ground and facilities were considered by Warwickshire a suitable venue for first class county matches. Hosting these matches involved complex negotiations especially as Warwickshire wanted a guaranteed income, usually around £80, whilst local councillors were keen to promote the town as a place for quality sporting entertainment and possibly, commercial advantage. Nonetheless, Warwickshire played Hampshire here in 1905 and again in 1909, Somerset came in 1908 and Sussex in 1910. In these games Leamington players C S Baker, C K Langley and A C S Glover played some part. 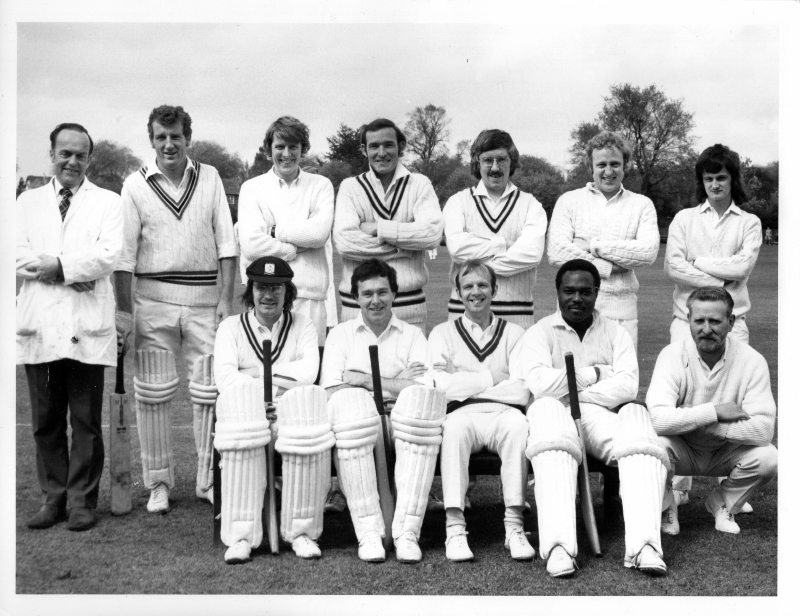 As with any club, the fortunes of Leamington CC varied. Many players enlisted in 1914, never to return, and again in 1939 many players enlisted and play halted ‘for the duration’. From then until the end of WW2, almost singlehandedly, ‘Ned’ Holland organised the upkeep of the ground so that when hostilities ceased, play could swiftly be resumed. For many years, the smaller of the two grounds, which opens on to Warren Close, was the home of Flavel’s Cricket Club, which operated independently. 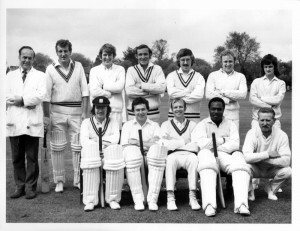 In the 1960s and 70s, the new University of Warwick brought keen staff and student members to swell the ranks, and Leamington Cricket Club expanded accordingly. The small Cundall pavilion in the south-west corner was adapted in 1982-3, to provide a bigger and better scorebox. A new club house, partially funded by the sale of a small parcel of land adjoining Warren Close, was erected in the south-east corner of the main ground, with facilities for both Leamington CC and Flavel’s. New leagues were formed. Evening cricket took hold. Times were changing. With the demise of Flavel’s Sports and Social Club, Leamington CC recruited some of the players and scheduled regular 2nd and 3rd team matches on Flavel’s old ground. Many players were keen to ‘put something back’ and winter nets and youth coaching on Friday evenings in summer became a regular feature, resulting in the formation of youth teams and a ‘nursery’ to feed into adult teams as players developed. Having hosted many matches over the years, Leamington CC is proud to have become a recognised venue for cricket for the visually impaired.